The Polk Scholastic Chess Championship Tournament for season 2018-19 had a brilliant start with Polk County School Board Superintendent Ms. Jacqueline Byrd opening the 31st Championship tournament! 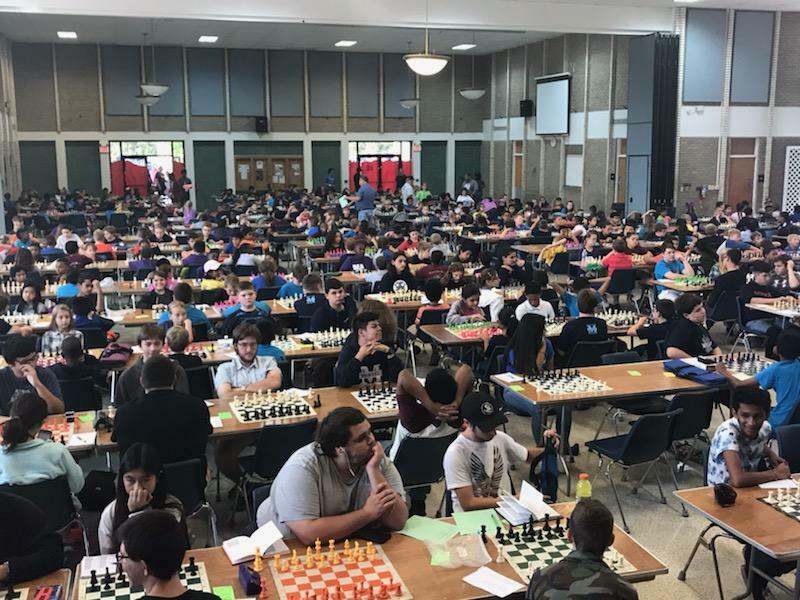 The event was conducted at Bartow on Saturday, March 9, 2019, and the tournament hall was packed with over 657 qualifying chess players (out of 6672 registered players), their parents and chess coaches. The presence of Ms. Byrd was inspiring to the players and the entire “chess family” including volunteers, coaches and parents welcomed her with warm hearts and sincere gratitude. In her speech, Ms. Byrd encouraged the players to do their best. She then recognized the winners of the previous month’s tournament (Feb 2019), and awarded certificates and medals to individual winners and team winners. 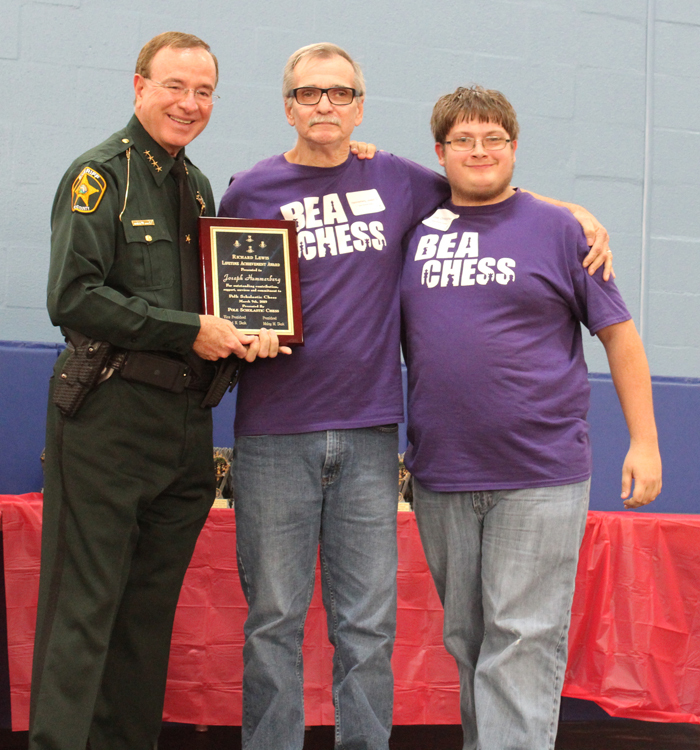 The afternoon trophy ceremony was graced by with Polk County Sheriff Grady Judd. Sheriff Judd presented the certificates and medals to winners. 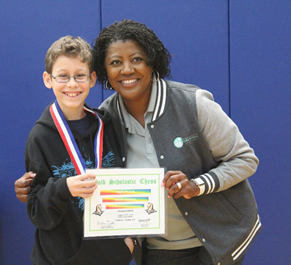 Each year, Polk Scholastic Chess recognizes a person who has contributed exceptionally towards our mission. This year the “Richard Lewis Lifetime Achievement Award” was given to Mr. Joseph Hammerberg - Coach, Bartow Elementary Academy. 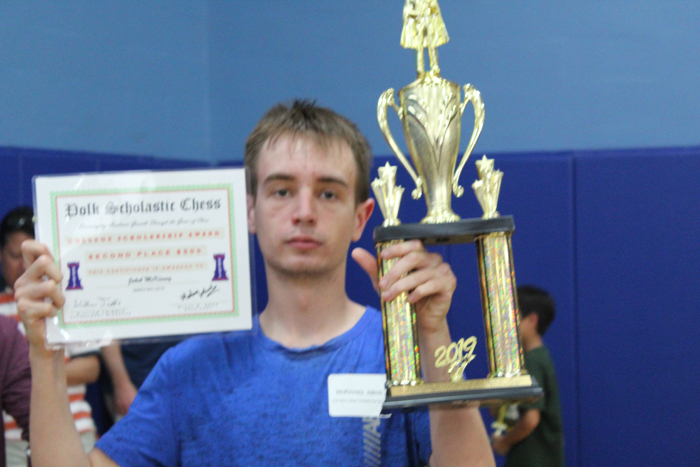 Volunteer Award was announced for late Mr. William Coile, a long-time friend, supporter and volunteer at Polk Scholastic Chess, for his long service to the chess family. POLK SCHOLASTIC CHESS COLLEGE SCHOLARSHIP awards were announced by Dr. Faeza Kazmier, Board Member. We recognize two graduating seniors with scholarships towards their continuing education each year. These students need to have an extended length of participation with Polk Scholastic Chess, win our essay contest and must have made active contributions to their school and community. The judging criteria includes grammar, syntax, vocabulary, extracurricular activities, community service and number of years with Polk Scholastic Chess. 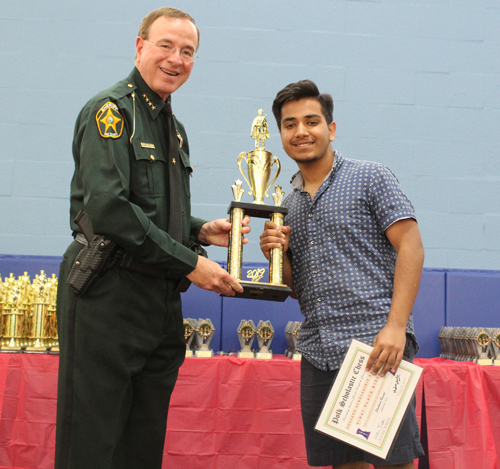 The winners of this year’s Polk Scholastic Chess Scholarship were SHASHWAT BANSAL (first place, with 25.5/30 points for $1,500 scholarship), and with at tie at 22 points each, for $500 scholarship: Casandra L. Ott (Mulberry Senior) and Jakob McKinney (Polk State College Collegiate). <--- One of our best chess players, Abraham Medina (Jewett Middle Academy), playing the national anthem and then entertaining the crowd with his talent. Invitation from Tampa Bay Chess: The 4th Annual All-Stars Tournament would like to cordially invite all Championship and Section A players from the 2018-2019 season to come over to Tampa and show us their skill. Join us in a Rated, 4 game tournament with plenty of competition! Verify your name on the list https://bit.ly/2Kn9y8P and sign up today at http://www.tampabaychess.com. 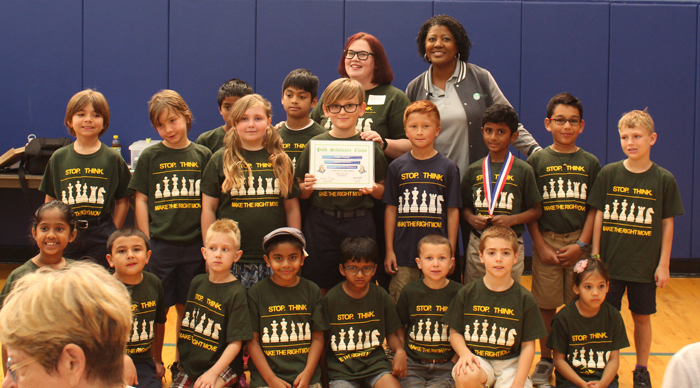 We conclude our 2018-19 Scholastic Chess Season with a special note of thanks to the wonderful teachers and coaches from Polk County schools, volunteers and parents. 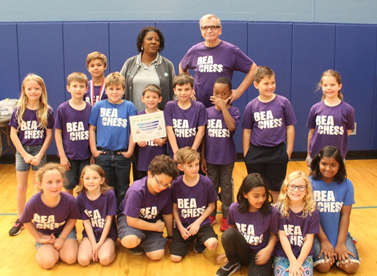 Without the help of such dedicated chess family members, this non-profit organization could not have sustained its scholastic operations for three decades. 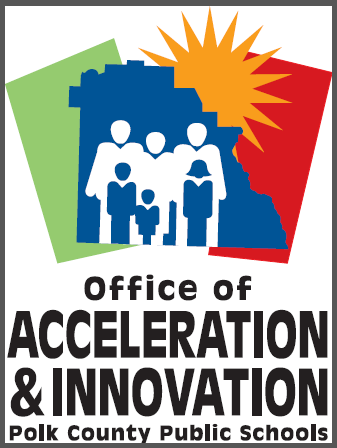 Thank you for your continued support and participation! Our graduating student photographer, since last four years, Jakob McKinney. Polk Scholastic Chess is a nonprofit 501(c)(3) organization established in the State of Florida.